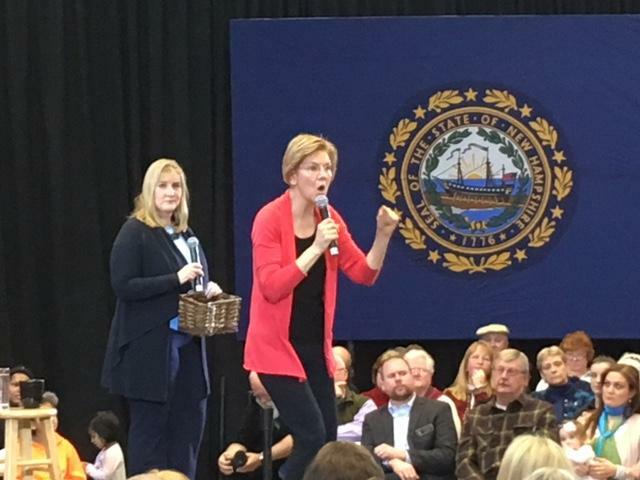 New Hampshire's Democratic Party says Massachusetts Sen. Elizabeth Warren will be the keynote speaker at an annual dinner. Julian Castro, Possible 2020 Presidential Hopeful, Is Set To Return To N.H.
Former Obama administration housing chief Julian Castro plans to visit New Hampshire, host of the nation's first presidential primary, after his expected announcement next weekend that he'll seek the Democratic nomination in 2020. The 44-year-old ex-San Antonio mayor will be featured at a New England Council lecture series at Saint Anselm College in Manchester on Jan. 16. Castro formed an exploratory campaign committee last month, and he's planning to announce his decision about the White House race on Jan. 12 in San Antonio. Two of Donald Trump's key New Hampshire supporters want the state Republican Party to endorse the president in the 2020 primary. But after talking with Gov. Chris Sununu, they've decided not to press the issue anymore. Historically, both state parties stay out of primary elections. But Republicans -- state Rep. Fred Doucette and Bruce Breton -- wanted to change the rules.